If you would like to message a person who blocked you on WhatsApp then you’ve come to the right place. WhatsApp is a popular and perhaps the best cross-platform messaging app there is. WhatsApp is usually the go-to app when it comes to text someone on another platform or even the same platform if you’re using an Android device as iPhone users have iMessage for that. 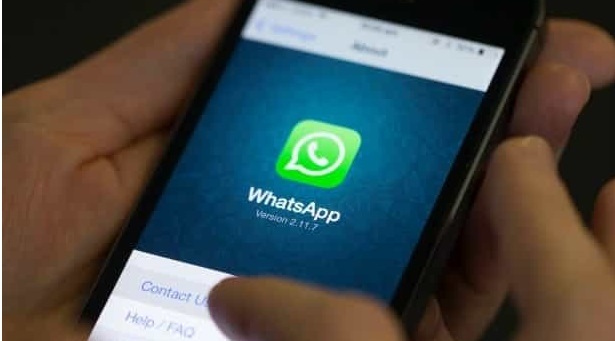 However, if you want to chat with someone who isn’t an iPhone user or using any iOS device then WhatsApp is most likely what you’d use; it’s simple, fast, popular, convenient as you only need the person number and most importantly, it works on all platforms. Now, given that you only need a user’s phone number to chat with that person on the platform means that someone can just open their WhatsApp and see a message from a random person/phone number. Some people might view this as an invasion of their privacy and quickly block without actually getting to know who’s on the other end. This is the kind of scenario where one should use the steps in this guide. This method should not be used to harass anybody on the WhatsApp platform and if the person blocked then you might want let them be as. He/she blocked you for a reason, respect their decision and move on. With that out of the way, let’s get down to the guide. Before we begin, I’ll just need you to make sure you’ve actually been blocked. If your message isn’t going through or you can’t see the person picture (Which are signs that you might have been blocked) then it might be that the person just removes his profile picture and Haven’t been online in a while. To be sure absolutely sure you’ve been blocked, you’ll need to create a WhatsApp Group and try adding that person. If it works then you’ve not been blocked by that person and if it doesn’t, then you’ve definitely been blocked. Follow the steps below to kinda unblock yourself. For this guide, you absolutely do not need to download any other app. All you need is just your WhatsApp Application Installed on your smartphone and you’re good to go. First things First, you’ll need to head to the Settings Menu of your WhatsApp by Clicking on the three dots at the top right corner and tap settings. Click on Account and Tap Delete Account. You’ll be shown a disclaimer that going through with this will erase all your chats, remove you from groups and also erase your Google backup if you have any. Doing this will clear your phone number from the WhatsApp database as a registered WhatsApp user and in doing so will also clear your number from the block list of the person who blocked you. Once you’ve successfully deleted your account, simply Open WhatsApp again and Follow the instruction to register again and you’ll be able to send Messages to that person that formerly blocked you. This will Also allow you to send messages to other people that blocked you, supposing you have their numbers. If you have any questions about this tutorial, do leave a comment down below in the comment section. With this tricks you just shared nobody can block me again. Testing mod, I will drop my testimony after testing it. It is actually working 100%, I have tested and confirm it working. Thanks a lot for posting this trick of self unblocking.